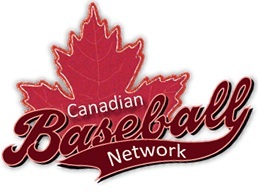 The Baseball Bloggers Alliance has chosen annual award winners in both leagues. Unsurprisingly this group of well-informed baseball devotee's picks mirrored mine very closely. I had the same picks, although I had Francona in 3rd place while in the BBA they were a very close 1-2. Much as I love Tito I feel like he had more to work with than Kansas City's Ned Yost. Again, we matched, although I'm a little surprised at how much of a landslide the BBA gave to Wil Myers, and very pleasantly surprised that Fernandez easily bested Puig. Again, two perfect picks. Kimbrel received 90% of the votes and I really didn't hesitate at all in putting his name on my ballot, so I can see why. Koji edged Greg Holland 52% to 36% and I also had them 1-2. In 3rd place I infamously picked the Twins' Joe Nathan, and as I've been told numerous times now, he spent the season in Arlington. But I'm not going back to edit that post now. I deserve all the mocking cast my way. No surprises there. I am curious as to who received the vote(s) that didn't go to Kershaw, as he only ended up with 98% of the votes. Then again, I was the village idiot who didn't cast his vote for Scherzer so there's always some in the crowd, I guess. Again, both RSN Alberta and the BBA picked Trout over Cabrera. In my mind, however, this year Miggy has a better case. As I outlined in my voting post, he had a better season than in 2012, and Trout's year wasn't quite as good as his rookie campaign. But Trout was still better and rightfully received this award. McCutchen was also a deserving recipient in the NL. All in all, a great job by the guys and gals of the BBA. Unlike the BBWAA, I don't think we've ever made grossly negligent picks. I'm waiting to hear what the more established group picks for its awards. I won't be as upset this year if they pick Miggy over Trout, last year was inexcusable, this year I can see it. But I will be fuming when they pick Puig over the much more deserving Fernandez for NL Rookie. Let's wait and see, maybe they'll prove me wrong and make the right picks this year.